Ben 10 meets Specky Magee! 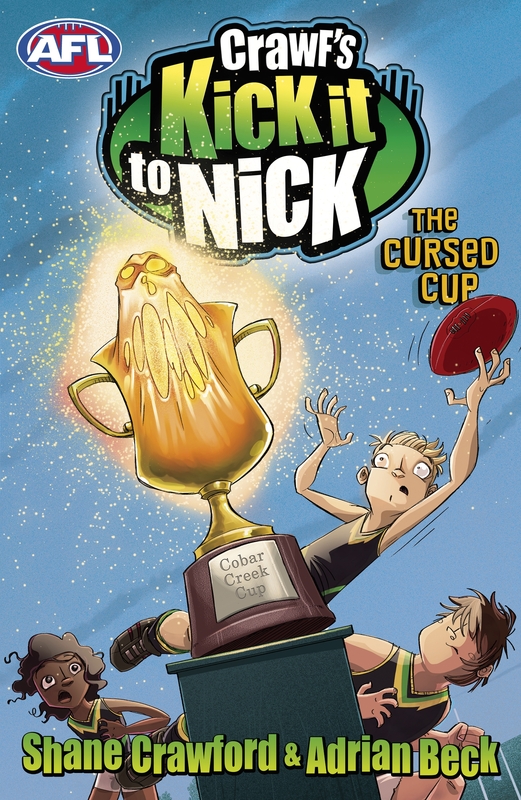 Kick it to Nick is a fast-paced and action-filled series with all the fantastic footy action you'd expect from Shane Crawford. Book one in an eight book series. It's the first footy game on the new oval and Nick and his team, the Cobar Creek Crocs, are desperate to win the golden cup. But when the cup is removed from its cabinet it turns into a terrifying metal monster, hungry to destroy everything in its path. And only Nick can stop it. This time Nick's not just playing for a win, he's playing for his life! Love Crawf's Kick it to Nick: The Cursed Cup? Subscribe to Read More to find out about similar books.